The “Cross-dial” version of the 6145-8000 was introduced in early 1969, and based on catalogue appearances seemingly only on sale for around 18 months (it appears in the 1970 first half catalogue, but not the one for the second half of that year). Over the past year or so, this particular model has become increasingly collectible, and the example on offer here is in excellent condition. There is a very small stain on the dial close to the 10 o’clock hour index which is just visible to the naked eye. Ignore the spot close to the four o’clock index – that spot appears in exactly the same location on many images and is evidently a spot on the sensor of the camera! The case is in great condition, with a few minor signs of wear that are visible in the images provided. The case back medallion has lost some of its definition over the years. On a timegrapher in the dial-up position, the watch is running at around -5 seconds per day. The 61GS series started production in 1967, and sales continued right through until the end of the vintage Grand Seiko era in 1975. With seven different movements, there are as many calibers being utilised within this single series as in all earlier series combined. Not only that, numbering at 51 distinct releases, there are more individual 61GS watch designs than existed across those earlier series (the Grand Seiko First, 57GS, 44GS and 62GS). As such, it isn’t really feasible to provide here a detailed overview of all 51 different models that were produced. 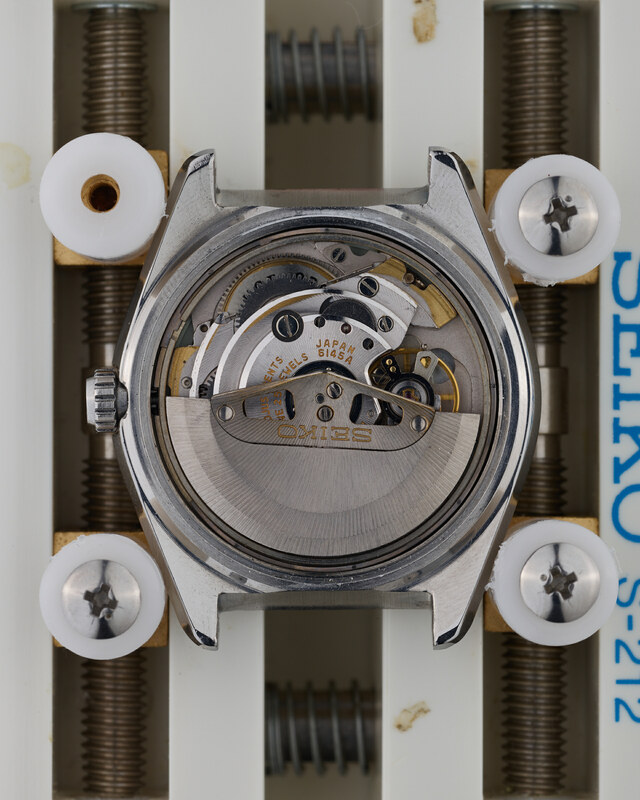 However, an explanation as to the structure of the movement-caseback codes used in this series – along with a few examples – should suffice to give a high level perspective on the breadth and depth of the range. Information specific to the particular watch on sale will be included in that specific watch’s description that can be found under the price. 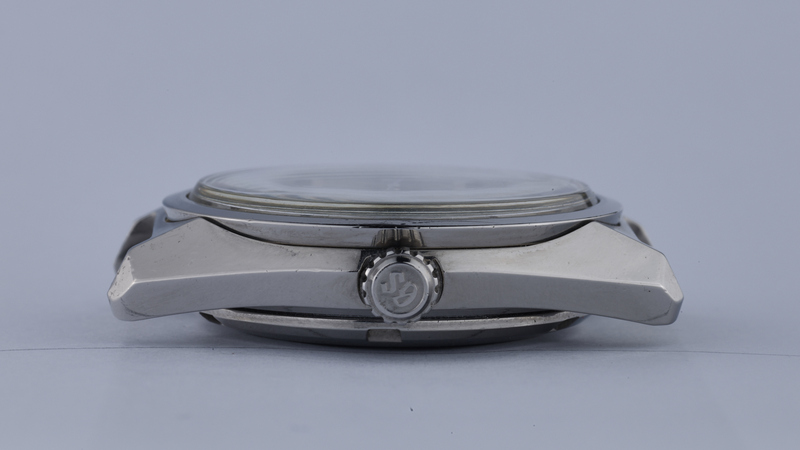 The first four digits of the eight digit movement-caseback code identify the characteristics of the movement utilised in the watch, although not – in the case of movements with multiple alphabetic suffixes (such as 6185A and 6185B) – necessarily the exact movement reference itself. 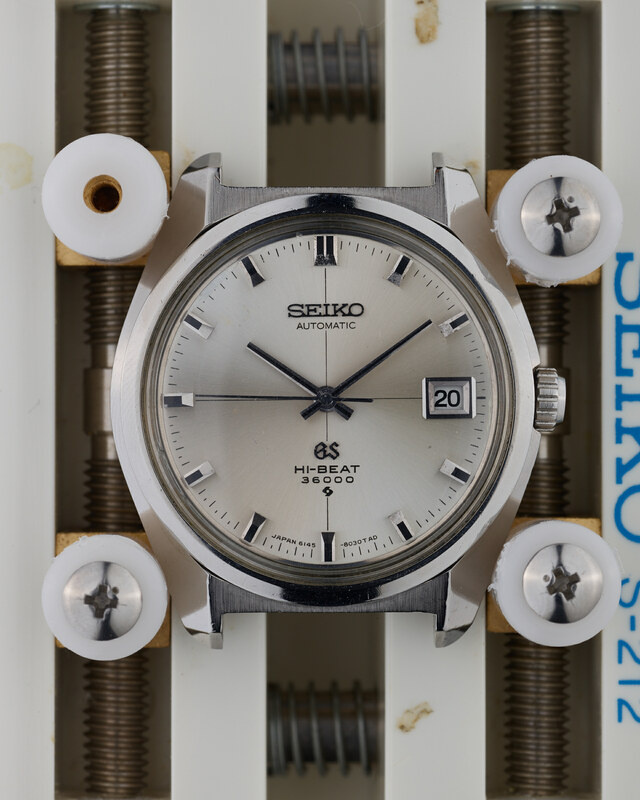 For the 61GS series watches, all produced by the Suwa Seikosha factory, the first two digits, “61”, as with all Grand Seiko references following the 5722-9990, represent the series itself. The third digit, which for 61GS series will be a “4”, “5,” or an “8” is used to identify the quality of the movement from a chronometry perspective. The higher the number, the more accurate the movement. “Regular’ 61GS models will be 614x movements, utilising the 6145A or 6146A calibres, and there are a total of 33 distinctly identifiable models. 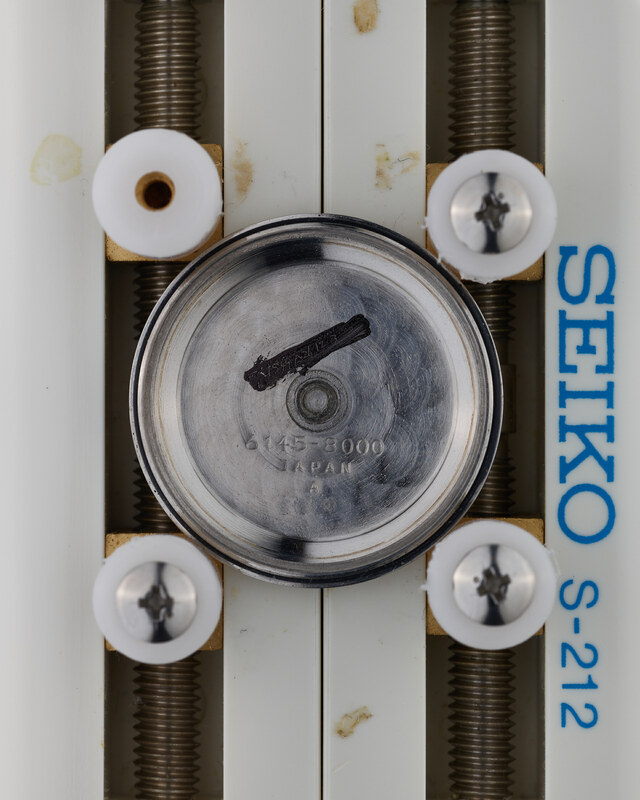 These movements were regulated to the Grand Seiko standard of -3/+5 seconds per day. 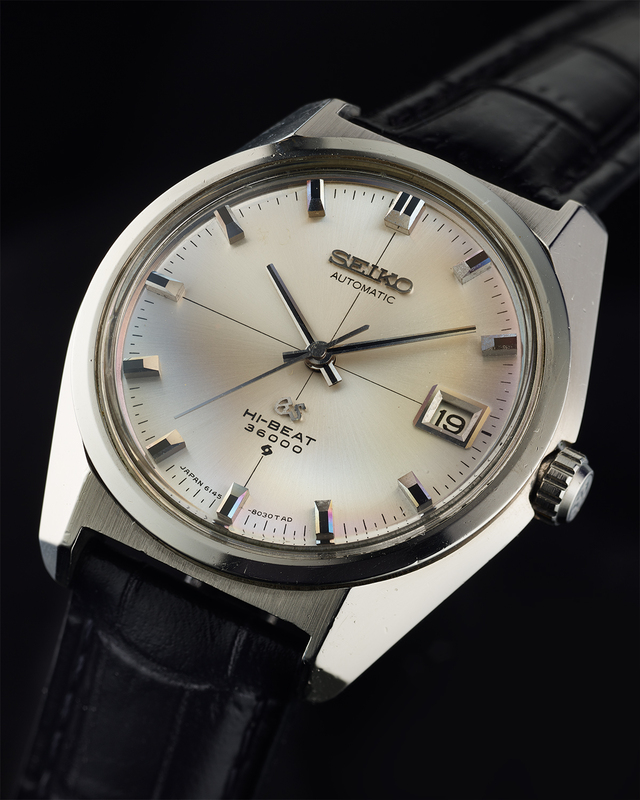 In the Christmas 1970 season, Grand Seiko introduced the “Special” 61GS models, which utilised either the 6155A or 6156A calibres. 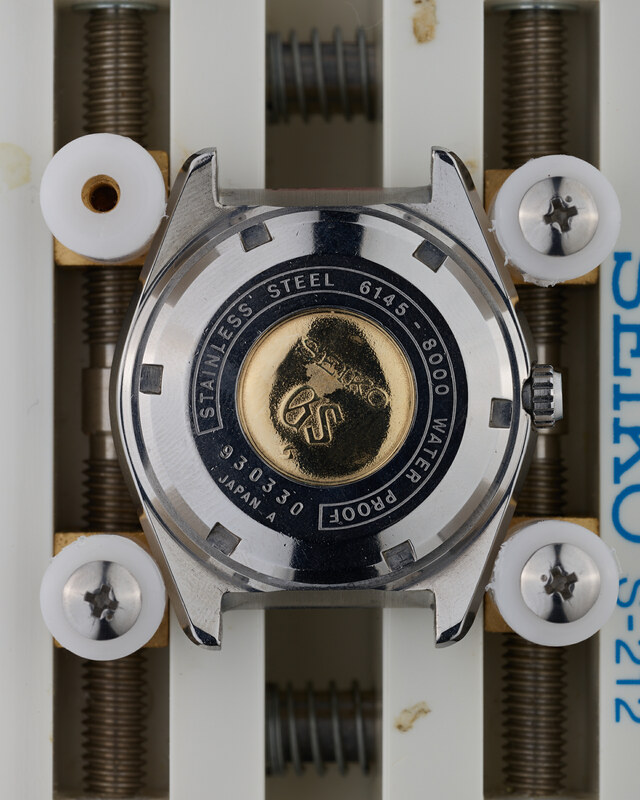 The movements in these watches were regulated to the “Special” Grand Seiko standard of -3/+3 seconds per day. In total, there were 9 distinct watches released utilising these calibres, which can be very easily identified because all of them have the word “Special” on the dial under the Grand Seiko logo. These watches were priced at a 10,000 Yen premium to their equivalent 614x powered models. Finally, we have the 6185x and 6186x “VFA” movements that were first introduced to the market in 1970. “VFA” stands for “Very Fine Adjusted”, and these calibres were regulated to an incredible -2/+2 seconds per day, with the watches guaranteed to be accurate to within a minute a month for the first two years of ownership. Pricing for the VFA models started at 100,000 Yen. The final digit in the movement code indicates the level of complication – a “5” indicates the calibre has a date complication, and a “6” indicates that it has a day-date complication. There are no examples of no-date watches in the 61GS series. All 61GS series movements are 36,000bph automatic calibres. 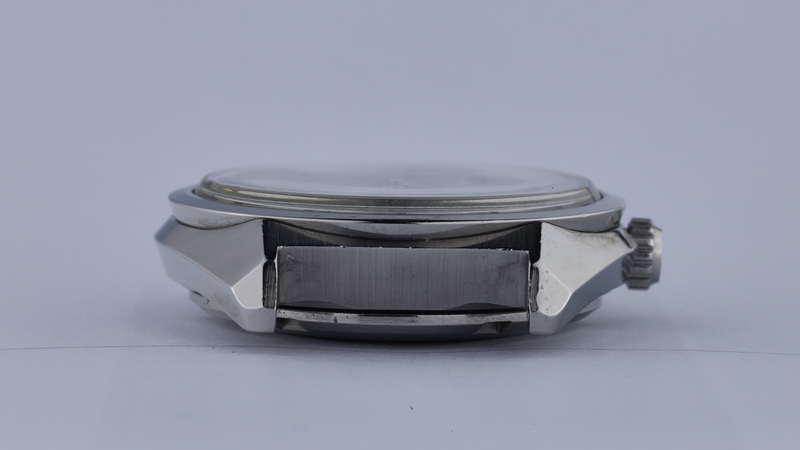 The final four digits of the eight digit movement-caseback code are used to identify the case of the watch. 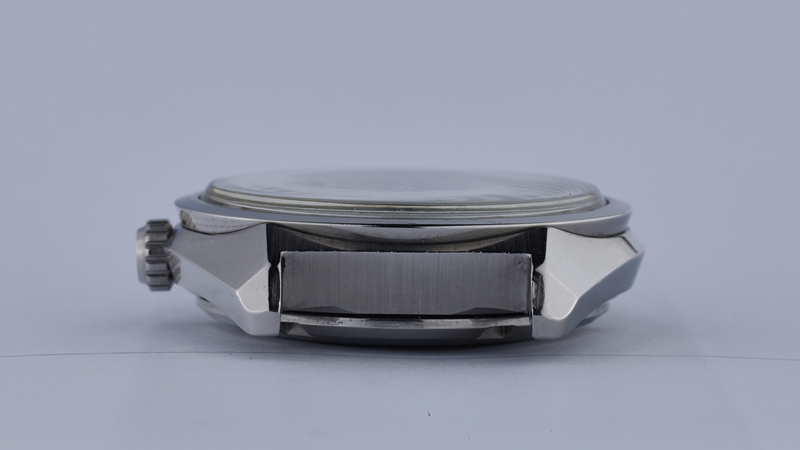 It is important however to note that there does not necessarily need to be consistency here where the same caseback code is used on multiple watches. This can lead to some confusion for the unwary, and it is why you can’t necessarily identify the exact model being referred to just from its eight digit movement-caseback code. 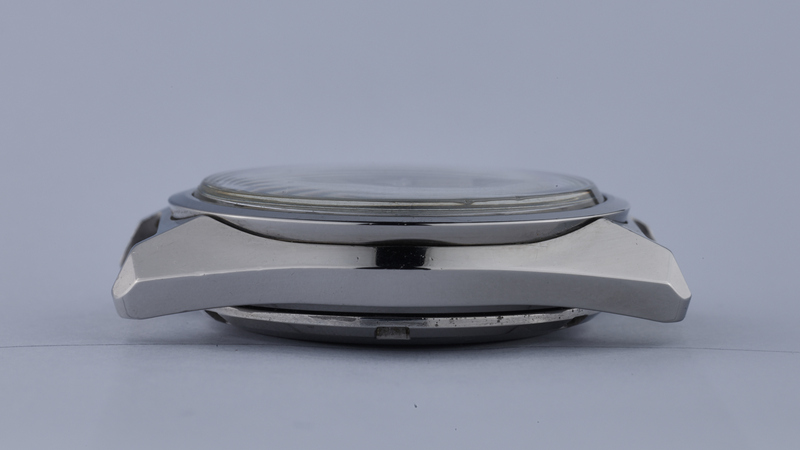 Additionally, the same case code may be used across different movements, but the case design itself may not be the same across the different watches utilising it. As will hopefully be evident from the watches available for purchase on this site, there is a tremendous variety of design in the 61GS series (with many models totally ignoring some, or even all, elements of the “Grammar of Design”), with watches available across a very wide range of price-points. Both entry-level and grail-level watches can be found in this series.